Caution: Poison Ivy is abundant along edges of the trail. About Poison Ivy: Poison Ivy adapts to the environment very well. It can have many forms. It can grow along the ground as a vine, it can grow up trees 30 feet or more and it can look like a shrub. The leaves can be lime green, shiny green, dull green, yellow, orange, red and scarlet. Leaf sizes can range from half an inch to six inches long. Leaves can be notched or not. The one consistent attribute is that the leaves always come in threes. Click on poison-ivy.org for more photos and information. There are areas of the trail where poison ivy is growing along the edges. We would like trail users to be aware of this, so we’re sharing this photo and information to help you identify it. We will also put this photo and information on the trailhead kiosk. Plans are in the works for trying high concentration vinegar spray sometime soon this summer to see if it’s effective in killing it back. If it works well, we will spray again in early summer 2014. If it doesn’t work well, we will look into other ways to eradicate it. 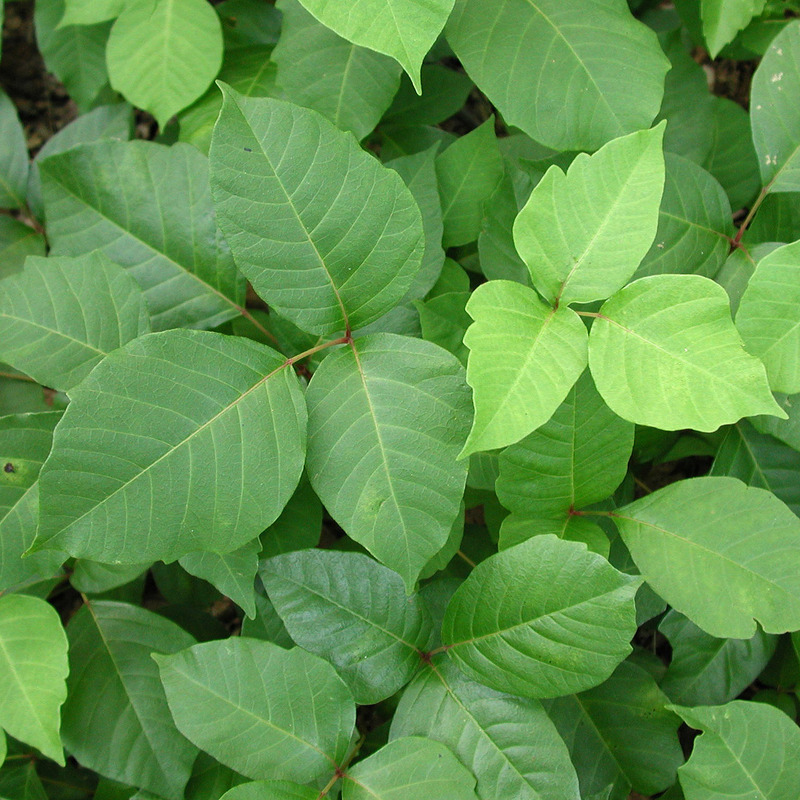 If you have suggestions on how to eradicate poison ivy, let us know. Thanks! This entry was posted in west river trail and tagged ivy poison, nature, poison ivy, west river trail. Bookmark the permalink. Poison ivy is not the only thing to watch out for, unfortunately. On our last hike we counted 20 separate piles of horse manure right in the path … just in the first 1.5 miles. Perhaps we could post a sign? Shame if a few ruin things for so many. Thanks for stopping by and for taking the time to comment. 🙂 Here’s an update. New signs are being printed regarding “cleaning up after your pet”, which will be posted on the trailhead kiosk as soon as we get them. We will add a sign that says “Please clean up after your horse”. If we continue to have a problem with horse manure on the trail, we will consider banning horseback riding. Please let us know if horse manure continues to be a problem on the trail. Thank you! Enjoy the trail.